This week, we release custom services, a feature that many of you has requested. 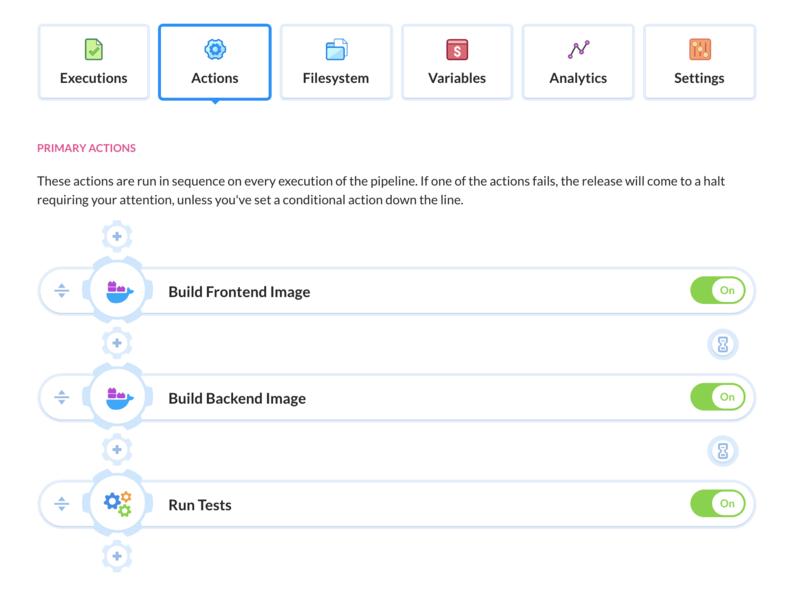 It will allow you to run tests for both frontend and backend of your application, or to create a database service with custom configuration. The functionality is currently in Beta phase and is available for all users (see bottom for more info on that). By default, Buddy pulls images from the selected private or public Docker registry, with dedicated support for Docker Hub, Amazon ECR and Google GCR registries. However, you can also use an image previously built by an action in the pipeline. For example, you can build images for both Frontend and Backend, and then run and test them together using the ‘Custom Build’ action. Each build action can have up to 6 services added. The first one is the main image of the build action. The remaining 5 can be mounted in the Services tab. 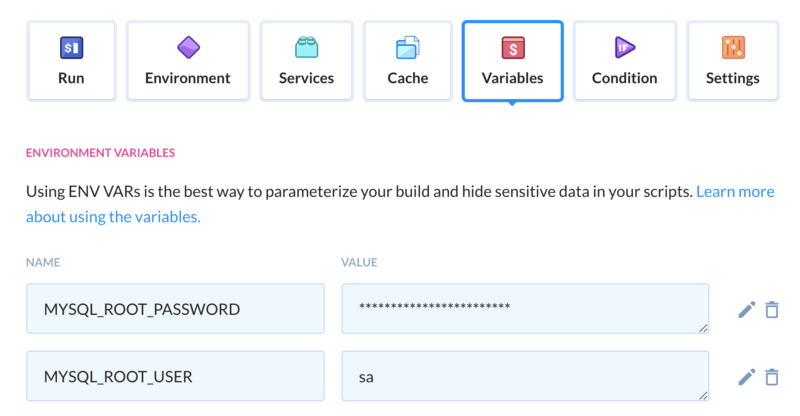 Whenever a custom service is run, Buddy sends to it the variables that are defined in the build action. This way you can customize the way it works. For example, you can send MYSQL_ROOT_PASSWORD or MYSQL_ROOT_USER variables to the official MySQL image to configure the image during its start. 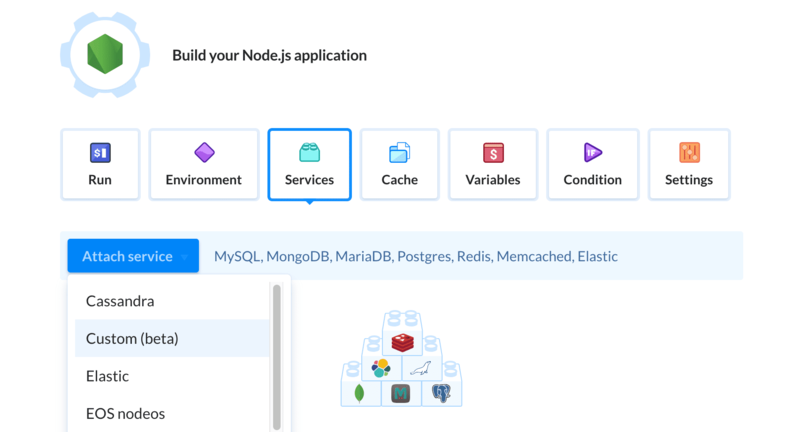 The predefined services like MySQL, MongoDB or PSQL can be cached. This means that the database is seeded only once, which significantly speeds up the builds. The mounted volumes will remain persistent between executions, i.e. a cache will only be cleared manually from the pipeline settings, or when an execution is run with the ‘Clear cache’ option enabled. 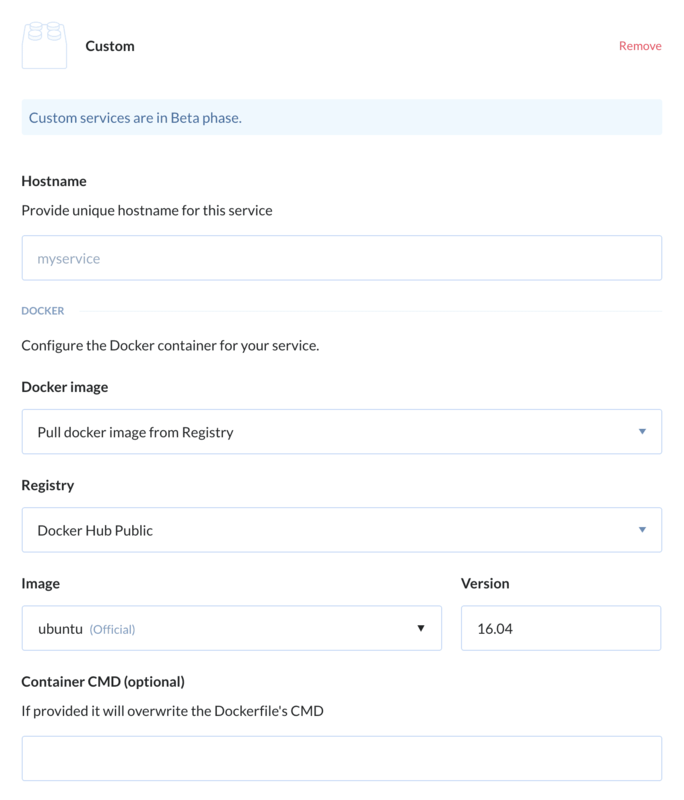 Custom services enable you to define any configuration achievable through docker compose. 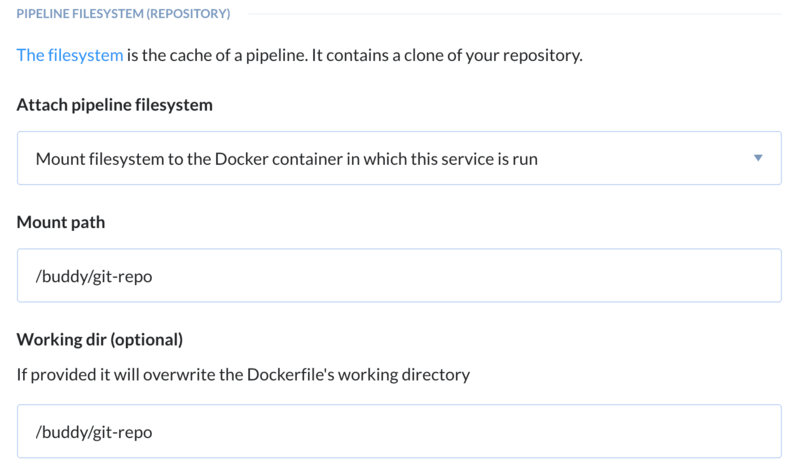 In fact, the whole build action and services are run according to docker compose. 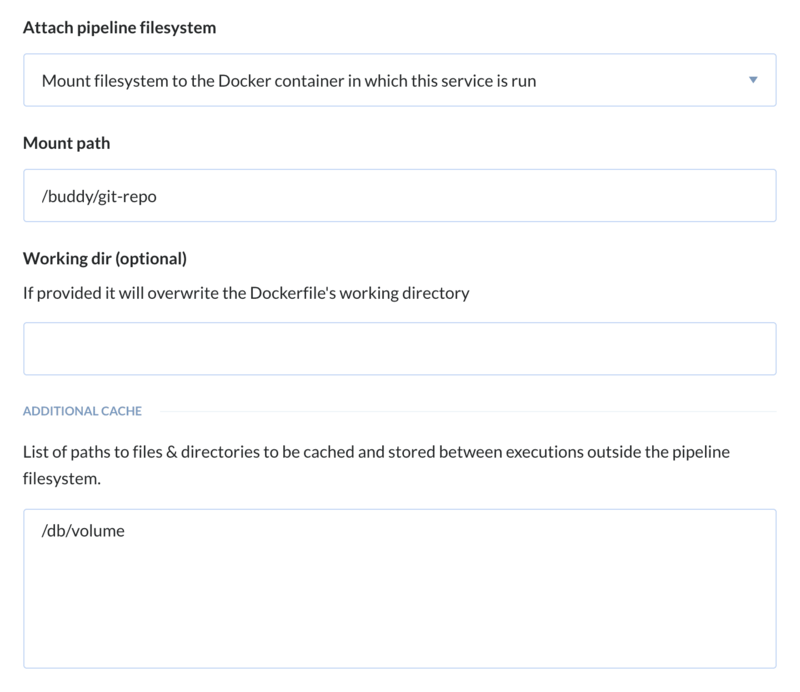 If you have any questions how to define docker compose for your pipelines, feel free to reach out to us via the livechat or at support@buddy.works. Please mind that during the Beta phase custom services will be available for all users. The Beta will last until the end of April 2019. From May onwards, the feature will be restricted to paid plans only.